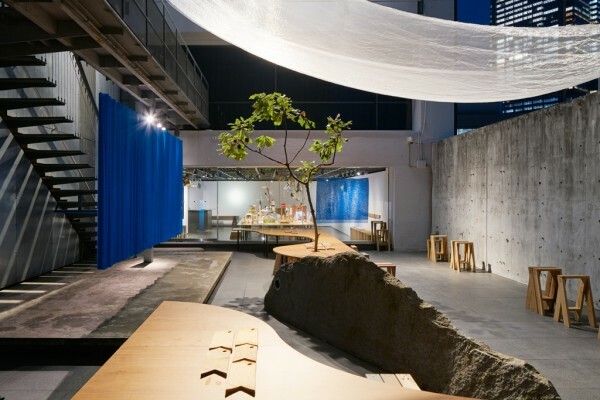 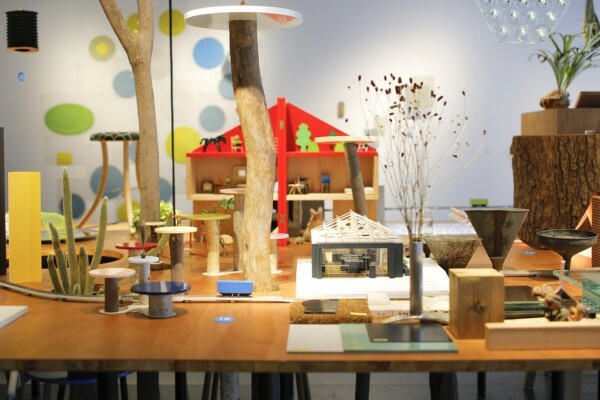 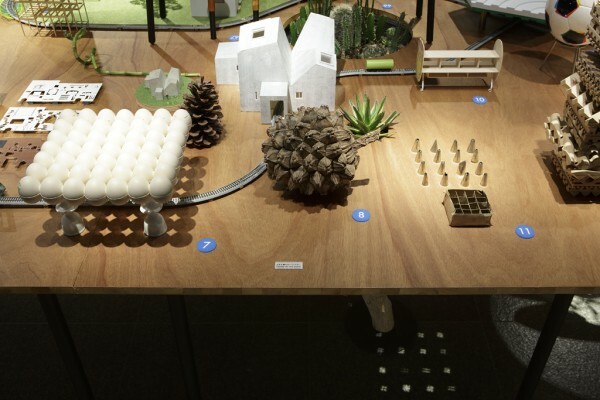 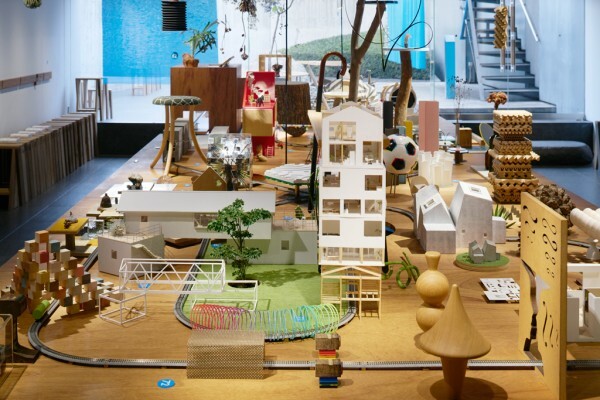 Inside Out is a private exhibition by TORAFU ARCHITECTS held at the TOTO GALLERY - MA in Tokyo. 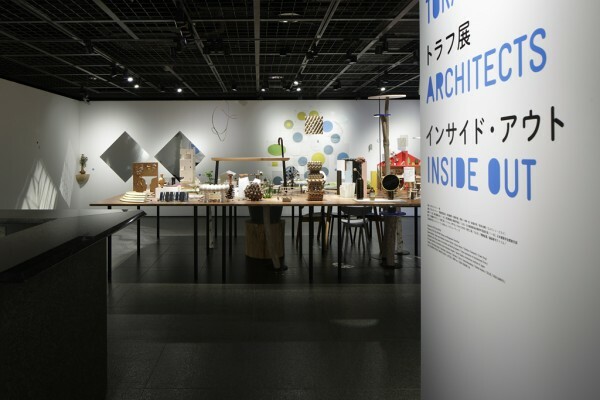 The title of this exhibition, “Inside Out,” reveals the thought process behind Torafu. 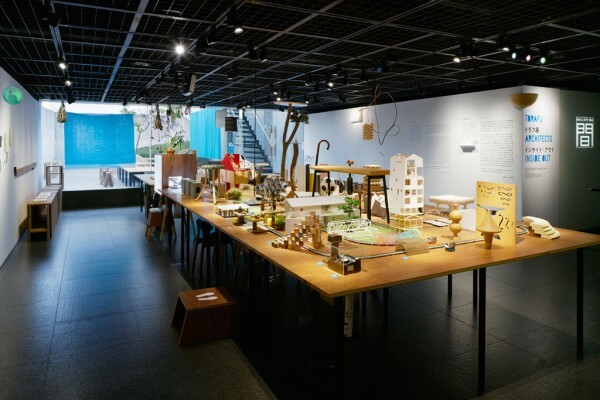 It also embodies our approach, which is not beholden to the hierarchy of “Cities > Architecture > Interiors > Furniture > Objects.” The exhibition is not limited to the gallery space on the 3rd and 4th floors, and features 100 design and architectural ideas displayed throughout the entire building. 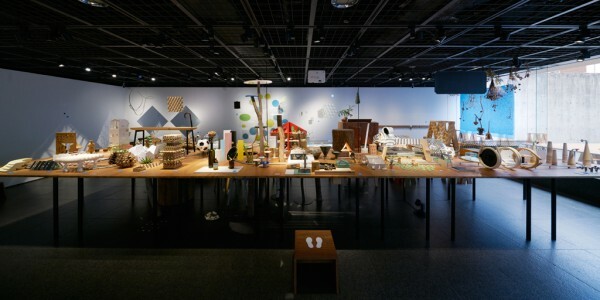 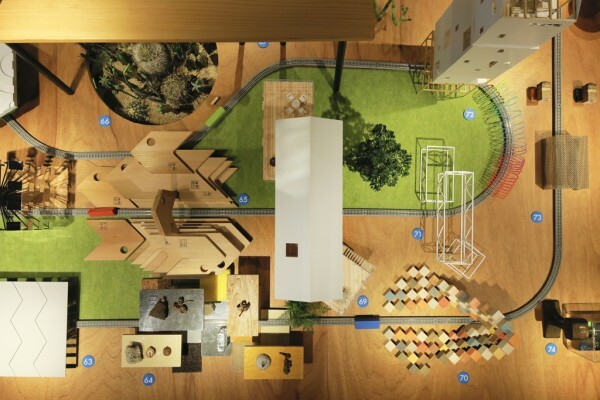 Moreover, a guide map lets visitors discover the "Inside Out" exhibition as one would on a treasure hunt. 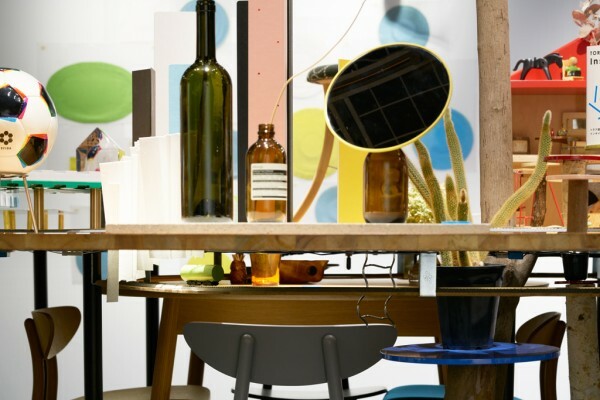 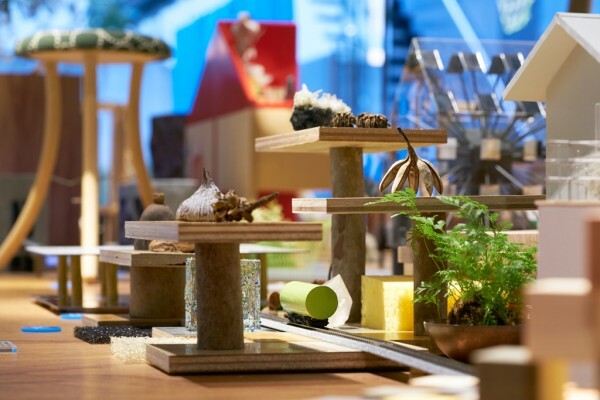 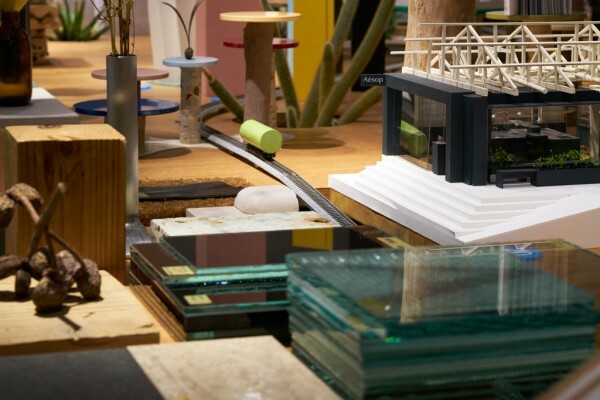 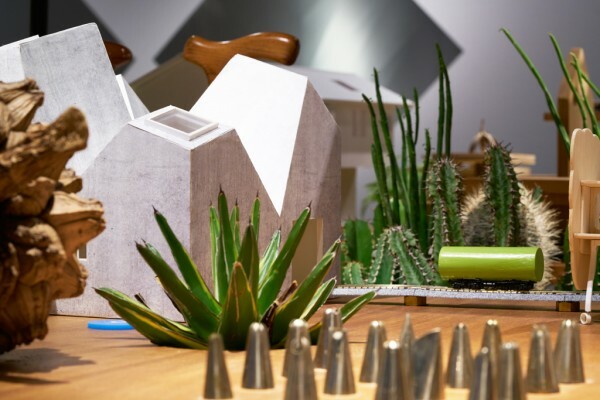 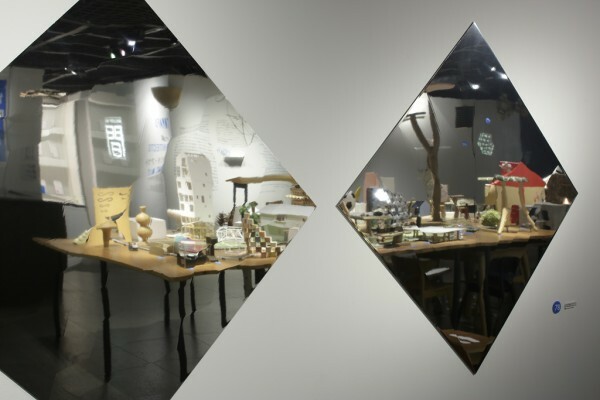 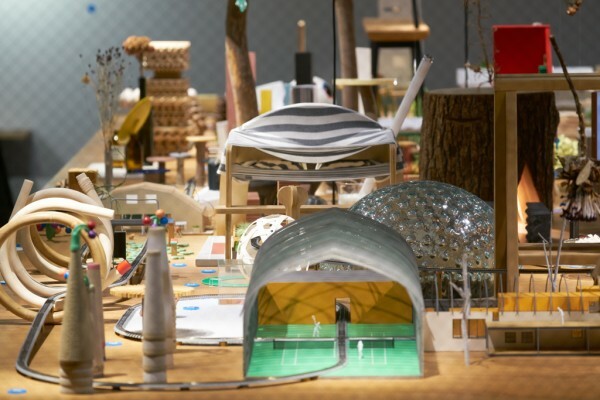 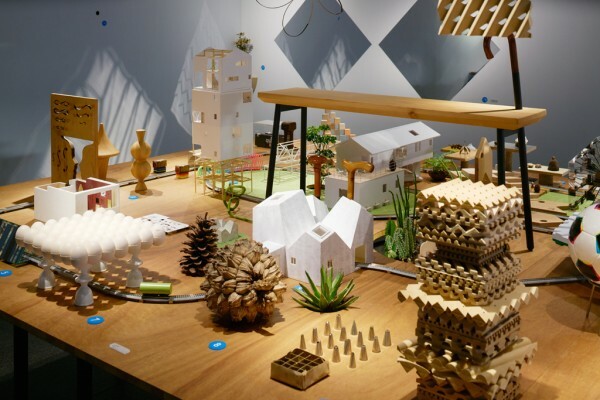 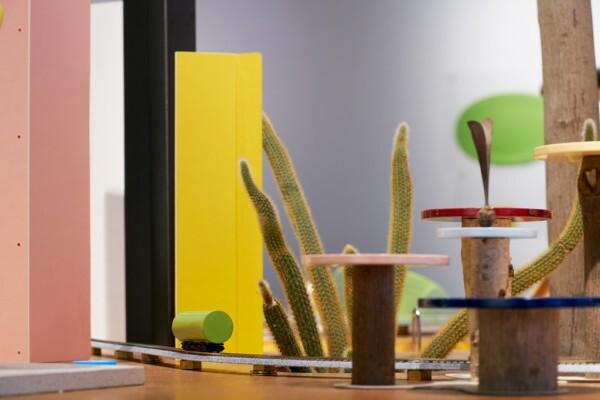 The 3F exhibition floor is filled with big tables presenting fragments from our creative process, from models, material samples and prototypes to sources of inspiration for products or small objects, whether from past creations or projects currently under development. 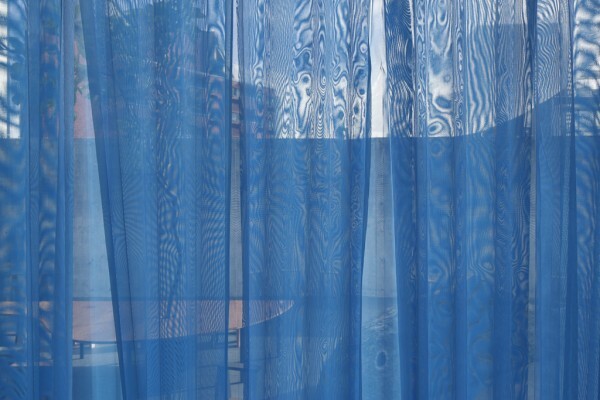 By setting them on equal footing we are able to arrange them into a coherent tapestry without establishing a hierarchy. 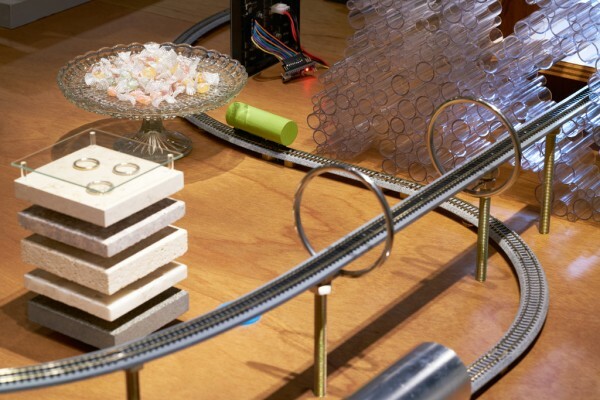 The 4F features footage taken from a small train running on N scale tracks as it weaves through the tables on the 3F. 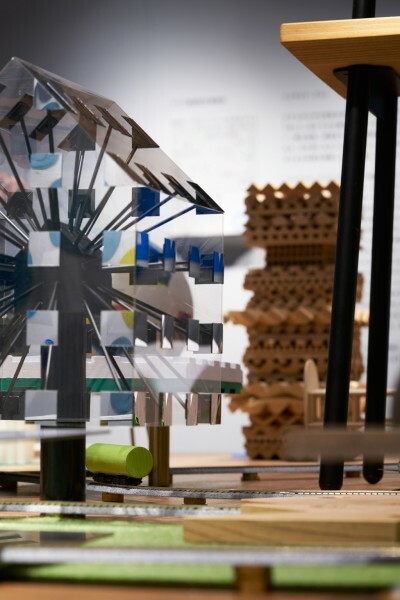 This device offers a different perspective on the exhibition by navigating in chronological order through an odd collection of objects seemingly placed at random where visitors can experience a scenery created from objects where the items on display emerge as architectural structures. 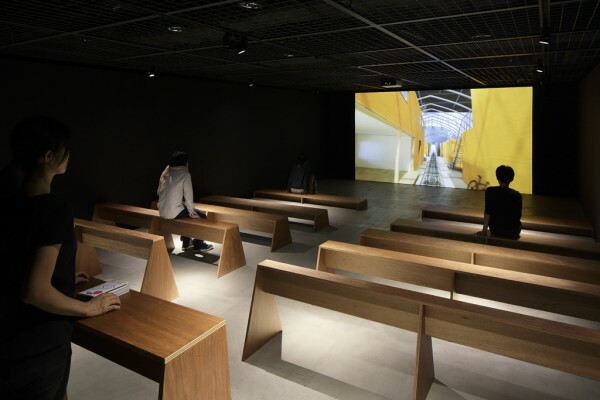 The concept was inspired from the 3F to courtyard to 4F sequence that characterizes the TOTO GALLERY - MA exhibition space. 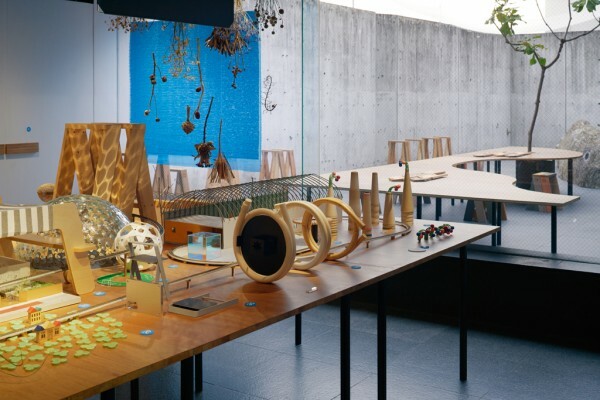 The space where the viewpoint afforded by looking at the table from the outside intersects with the viewpoint embedded within this scenery becomes a zone in which to experiment how products, no matter how small, can have an impact on larger scales and even inform city outcomes. 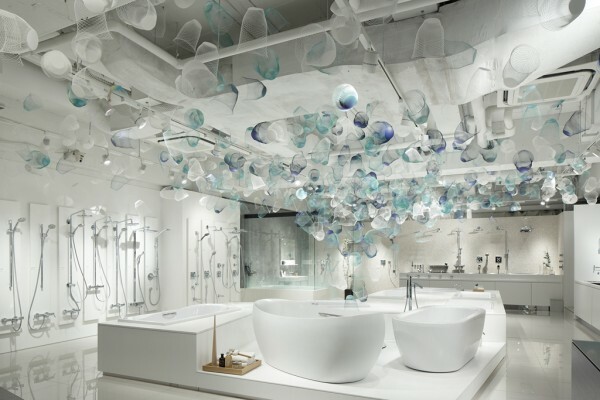 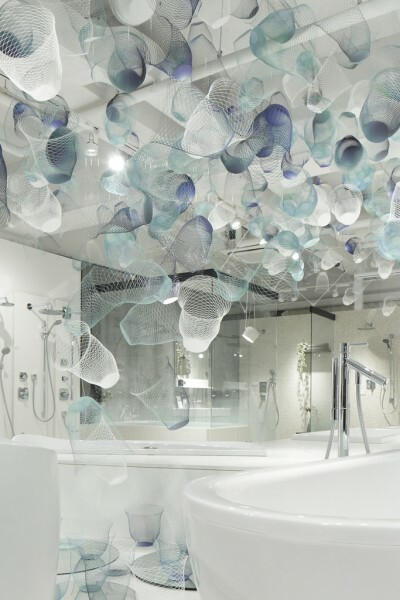 Furthermore, we designed an installation using about 900 original design airvases created for the gallery's 1F and B1F showrooms. 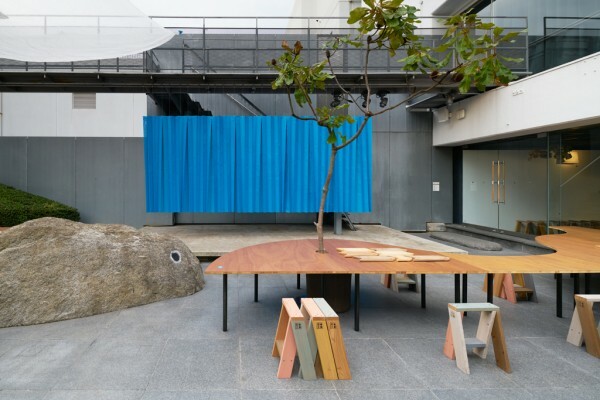 © 2019 TORAFU ARCHITECTS / all rights reserved.